Imagine a product that reduces your grocery bill, cuts your bathroom cleaning in half, helps you eat and cook healthier, protects your home, and makes your skin, hair, and towels softer. If you live in the Michiana area, there’s no need to imagine, a Hawkins Water Softener can do all this and more. While there are many benefits to softening your water with a Hawkins Water Softener, here are the top 5. Having soft water saves you money… a lot of it. According to a study by the Battelle Institute, you use up to 75% less soap and fewer cleaning products with soft water. 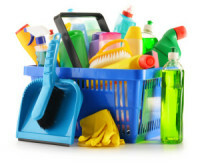 Considering the soap and detergent aisle is the most expensive aisle in the grocery store, your budget will immediately reflect the savings! Hard water can cause a buildup of scale from mineral deposits. Over time, pipes and fixtures can clog, water flow can diminish, and water pressure can be reduced. This doesn’t happen with soft water. Soft water is low in mineral content and therefore doesn’t leave deposits in the pipes. Scale and lime buildup created by minerals will not take place if your water is soft. 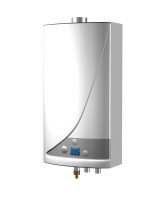 This adds life to your hot water heater. Also, if you have deposits in your water heater, the University of New Mexico found it will cost up to 29.6% more to heat the water that your family does use. Many tankless systems clearly state in the owner’s manual to use soft water with their systems to prolong their life and reduce buildup. Hard water minerals buildup on your skin & hair causing it to dry out. You know that “squeaky” clean feeling after a shower? Well, that’s not the feel of your natural skin. Often it’s the result of minerals bonding with your soap to stick to your skin. Hard water can also contribute to razor burn while soft water causes the razor to glide more easily across the face & body. Whether it’s your coffee pot, humidifier, dishwasher, washing machine, or your hot tub, your hard water is causing a buildup of minerals and reducing the life of these products. Soft water reducing mineral buildup and prolongs the life of the appliance. So there are a lot of benefits to soft water, however, why is Hawkins the best solution? Hawkins Water Tech has been serving the Michiana area for over 47 years. We’ve developed a strong reputation for service and putting you first. Many of our new customers have heard about us from existing customers and it’s an honor. Healthy, clean water for your family and home is a huge responsibility and one we don’t take lightly. We also service just about any water treatment system out there. If you already have a system in place and it’s just not working like you think it should, let us know and we’ll explain in plain terms what you need to fix it and if we’re able to cost-effectively. And lastly, if you’re not sure if you have hard water or if a softener is right for you, we offer a basic, free home water test that will give you the information you need to decide for yourself. I am a new customer of Hawkins Water Tech. I cannot say enough about our first experience with your company, specifically Doug Hostetler. My family, including two children under the age of 3, live in Granger. It's no secret that our well water contains high levels of nitrates. Upon purchasing our home, we installed a reverse-osmosis system to deliver safe, clean, drinking water for our family. After 5 years of use and annual maintenance, I decided to contact Hawkins Water Tech for a free water test to ensure our RO system was still functioning properly and to complete a health check on our water softener. After submitting an online request, Doug contacted me via phone within 30 minutes. Great first impression. He recapped my request and quickly scheduled an on-site consultation to complete the water test. The morning of the appointment, he contacted both myself and my wife (who was at home) to let us know he was on his way while providing his anticipated arrival time. He showed up right on time. My wife showed him to our RO system and water softener in the basement. He completed the analysis and provided a thorough debriefing of our current systems, which were both functioning as desired. He did offer recommendations for improvement, including a more efficient RO system that would provide better filtration and production capacity, however he did not push any of these offerings on either myself or my wife during/after the visit. I spoke with him via phone following the visit to discuss his recommendations. He provided thorough and honest feedback, which I really appreciated. Overall, excellent experience with Doug! I will recommend HWT without hesitation to friends, family, and anyone else who asks. Thank you! I just spoke to Jonathan in your office and set up bottled water delivery to my home. I just want your management to know how kind, considerate and helpful Jonathan was in serving my initial order and set up. It is refreshing to receive exemplary customer service these days. I just wanted to thank you and especially Curt in your sales office. I was so impressed with his knowledge and helpfulness. I called with a problem on equipment Hawkins did not install that I was sure would need to be replaced. Curt made a trip to my house the same day and did something very unusual for a typical salesman – he fixed our old unit! He was so educational – teaching me how to use the unit and explaining all the working parts. His help was truly a blessing in our lives as replacing the unit would have been quite a burden for us right now. I will definitely give Hawkins and Curt my future business. Thank you and God Bless! Hawkins Water Tech is hiring and looking for hard-working, fun-loving, service-driven folks to join our amazing team. LEARN MORE ABOUT THE POSITIONS HERE.